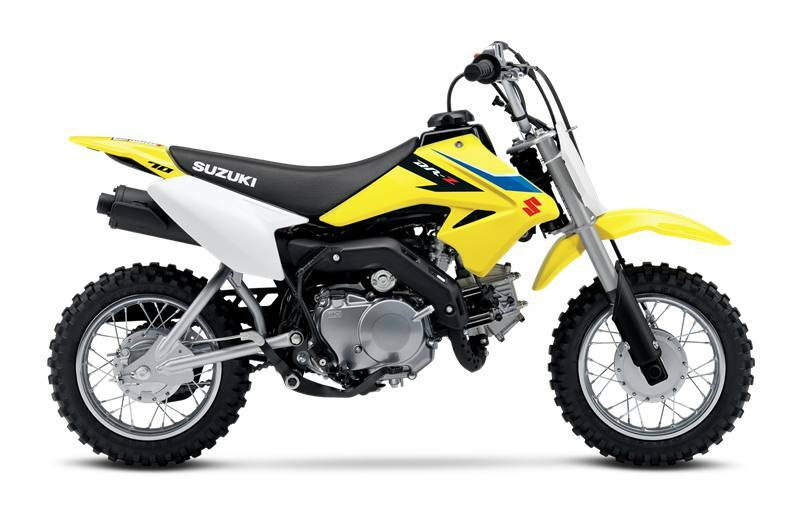 The DR-Z70 is designed for use by children and off road use only — do not use on public roads. Single rider only — weight limit 40 kg (88 lbs.) For your safety, always wear a helmet, eye protection, and protective clothing when riding any motorcycle or ATV. Never ride under the influence of alcohol or other drugs. Study your owner's manual and always inspect your Suzuki before riding. Take a riding skills course. For the MSF street course nearest you, call 1-800-446-9227. Off-road riders can enroll in the DirtBike SchoolSM by calling 1-877-288-7093. ATV riders can call the SVIA at 1-800-852-5344 and we’ll even pay for the training. Suzuki engineered the GSX-Rs™, Hayabusa, and the QuadSport Z400 for experienced riders. 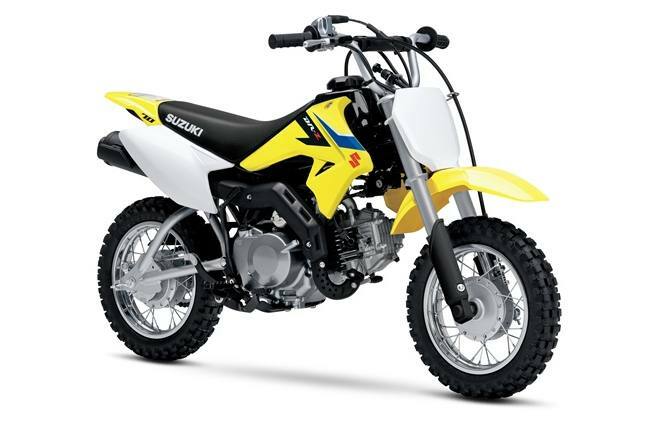 Specifications, appearances, equipment, color, features, materials and other items of “SUZUKI” products shown are subject to change by manufacturer at any time without notice.